Listen to Rob Voyle present an overview of the Assessing Skills and Discerning Calls. Initiate a Transitional Ministry to create a solid foundation for conducting their search. Establish a clear sense of vision and purpose for the congregation. Establish the search criteria to help the congregation achieve their vision. Assess candidates abilities with respect to the search criteria. Discern a call from a qualified list. Assessing Skills and Discerning Calls provides detailed strategies to achieve each of these steps. The philosophical foundation of and the search strategies in Assessing Skills and Discerning Calls are all based in Appreciative Inquiry. What is the best we can do as a congregation? What is the best this candidate can do? Can the congregation and the candidate call forth and equip each other to be their best? In addition to providing extensive resources to facilitate these steps Assessing Skills and Discerning Calls also includes a substantial introduction to the Appreciative Way of thinking. This positive, life-giving approach informs every aspect of the search process. The current version was written with the language and practices of the Episcopal church in mind. 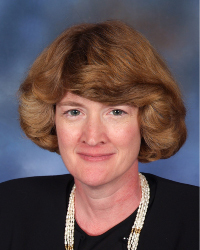 A "generic" Protestant language version is being developed to be used in any congregational setting that uses a clergy call search process rather than a clergy appointment process. Within the Episcopal and the Protestant denominations there is both considerable commonality and differences within the denominations and between the denominations. What we have created is a process that will equip a congregation, regardless of denomination, to design their own process to meet their needs, rather than a "canned" search. Subscription Rate to Access Search Resources: $1:00 per worshiper, based on average attendance. How many Sunday Services do you have? Do you have other weekend services such as a Saturday Evening service? On average, what is the combined number of people that attend worship at your church over a weekend? These are figures that you provide in your denominational profile and that you will report in your congregation's profile. The total price is capped at $400. Dioceses, Synods, or conferences can subscribe to the library of search resources for their search for a Bishop or Conference Minister. The cost is $400. These steps are based on our theological perspective of the search process. Too often congregations focus all their attention on what they want in their next pastor. Following conflict the attention is often focused on what the congregation "doesn't want" in their next pastor. The following steps are designed to place the search in the wider context of the congregations life and work and not simply on the next minister. Are You ready for a search? Create a solid foundation for conducting your search. In the midst of transition anxiety may arise, or the congregation may already be embroiled in conflict, or the congregation may need to do significant development work before calling a settled pastor. In these circumstances attention and effort needs to be focused on resolving these issues by creating and achieving clear goals during the transition time before the search can be engaged. If these issues are not resolved before the search the congregation is unlikely to wisely and lovingly discern a call. It is impossible to discern the will of the Loving God when we are in a state of anxiety or conflict. First things first: Too often congregations focus on what they want in a pastor not on what they are called to be as a congregation. Ask not what your pastor can do for you. What do we need in a pastor to help us do that? If you don't know what you are looking for, you won't know when you find it. Having clear agreed to search criteria will reduce the possibility of search committee conflict over candidates based solely on personal preferences that are unrelated to the congregation's overall goals and vision. This is the objective assessment of skills that is essential to ensure that the candidate can actually do the job to which they may be called. This must be done before you discern whether someone is called to the position. For example, before you discern whether someone is called to be your preacher you need to know whether the person can preach. For example, if you have assessed the candidate as a competent preacher then the discernment question is about whether you and the people of the congregation will hear God's Spirit in this person's preaching. 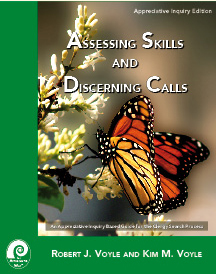 Compare the Preaching Skills Assessment and the Preaching Discernment to understand the different questions that need to be asked when assessing skills and discerning a call.